Do you have a requirement for dependable yet cost effective IP rated cable assemblies custom manufactured to your specific requirements? 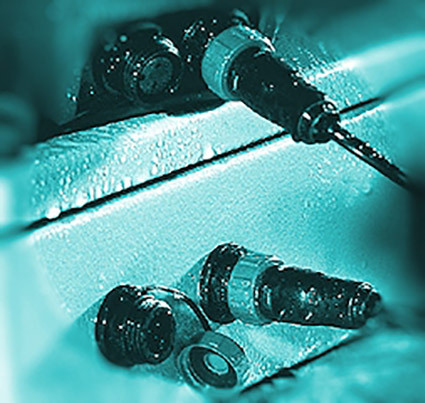 If so, then Connect-2 Technology can provide you with the right solution to meet your exact needs, as the company has many years of experience in producing cable assemblies with IP rated connectors to a wide variety of customers and equipment market areas. Connect-2 Technology has the skill range and know-how to produce IP rated cable assembly solutions for most requirements of data, power or mixed data and power combinations with ingress protection up to IP69K. The ‘First Number’ refers to the protection against solid objects. The ‘Second Number’ refers to protection against liquids. The higher the number the better the protection. 1 = Protected against solid objects up to 50mm. e.g. accidental touch by hands. 2 = Protected against solid objects up to 12mm. e.g. fingers. 3 = Protected against solid objects up to 2.5mm. e.g. tools and wires. 4 = Protected against solid objects up to 1mm. e.g. small tools and wires. 5 = Protected against dust, limited ingress (no harmful deposit). 6 = Totally protected against dust. 1 = Protected from water Dripped Vertically. 2 = Protected from water Dripped at 15° angle. 3 = Protected from water Sprayed. 4 = Protected from water Splashed. 5 = Protected from water Jet Spray. 6 = Protected from Strong Jet Spray. 7 = Protected from water under Temporary Immersion. 8 = Protected from water under Continuous Immersion. Therefore connectors rated at IP68 provide the highest protection, being ‘Totally protected against dust’ and ‘Protected from water under continuous immersion’. Additional to the above table is IP69k which offers all of the protection of IP68 plus the ability to withstand high pressure and steam cleaning.